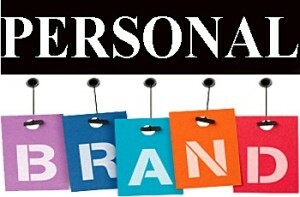 3 Steps To Your Professional Brand!! This is perhaps the most important question every professional should ask—and answer—yet the one least often addressed. Everyone knows that people form an impression within the first few seconds of meeting. Yet, the majority of business professionals allow this impression to be created by happenstance rather than proactively crafting and controlling its development. At Corridor Communications, Inc., we view this first impression as your unique professional brand. And, we’ve developed a process to help professionals define it, develop it into a lasting impression, and leverage it for career success. We call it The Professional Brand Blueprint. Whether you are contemplating a career change, seeking greater responsibility and reward, or intent on perfecting your present vocation, a Professional Brand Blueprint will help achieve your goal. Clarify professional goals, understand current professional brand perception, and identify threats, opportunities and challengers. Define, refine your professional brand, develop sound-bites and identify power words unique to your professional brand, and create your own Professional Brand Blueprint. Executive coaching measures progress and further refines your Professional Brand Blueprint based on feedback and practical experience. At Corridor Communications, we hold Professional Brand Blueprint programs quarterly on a first come, first serve basis. For more information, send us an email: corridorcomms@corridorcomms.com.